I did a lot of research on the shoe, but I am a big believer in outside party reviews. I couldnt find any but thought the story of the shoes was sound enough. 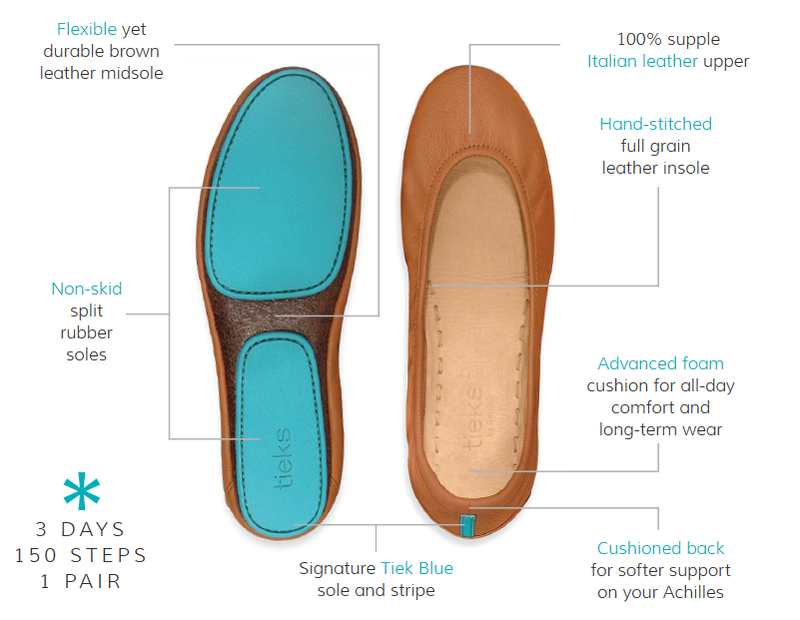 From the tiek website: Each pair of Tieks is crafted from the finest leathers (or vegan textiles) and specially treated to be flexible yet durable. In total, it takes three days and over 150 steps to create a single pair of Tieks. There are no shortcuts in creating the world’s most versatile ballet flat. Ok, lets talk about MY shoes. The shoes come in a super cute teal box (like the bottoms of the shoes) with a flower bow that can double as a headband. I love versatility. Better than that though there is a personalized handwritten note in the box as well. The handwritten note is a seriously sweet touch. Something you just will never get from a giant chain is that level of personalization. The shoes themselves can fold in half and fit right inside the box. This is great for traveling because they take up less space. You can also fold and unfold these shoes as often as you want with no damage to the shoe. My flats were the beautiful clover green. All flats are genuine leather and honestly I have never owned something thats 100% leather so I had no idea what to kept on the feel of the shoe. When I put them on they were truthfully a little tight and I was skeptical. I didnt love them right away but figured I would just wear them the day and see what happened. I walked around a little that day and felt like I was wearing socks in a good way. The shoes were a little squeaky, but were so soft and comfortable on my feet it didnt bother me. 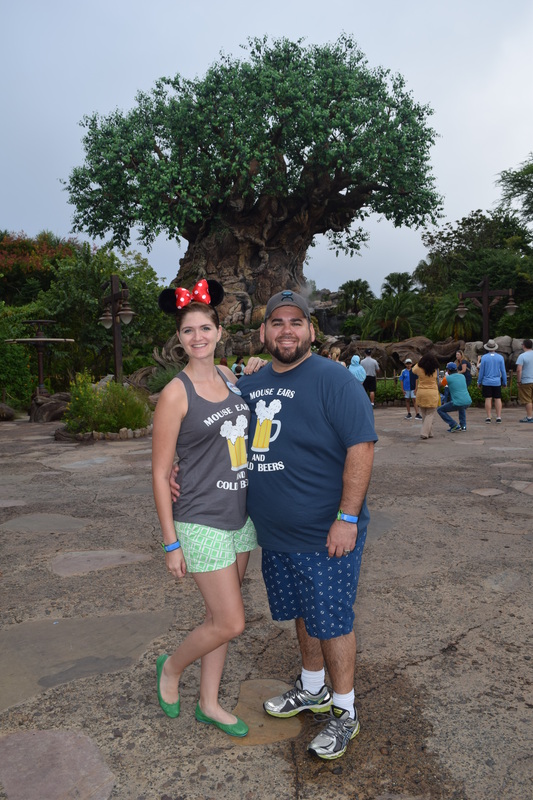 I wore them to work a few time and they fit like a glove after the initial break in day but the true test was to come at Disney. 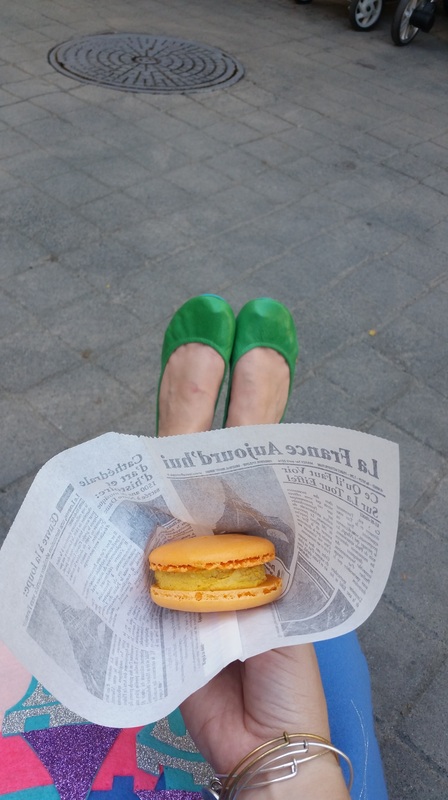 You really need stylish shoes to eat and drink around the world! My only complaint about the shoes are these: they squeak and they arent the most stylish flat (meaning they are a little shapeless). I dont care really about either of those because there are so many gorgeous colors and prints neither of those things matter. I still think the price point is slightly high, but I do intend to buy another pair 😉 I will definitely be wearing these on my next trip to Disney and will hopefully have the metallic pewter pair in time for London! In case you cant tell, I am convinced these are the perfect flats and cant wait to get a rainbow of colors for my closet! Each new color I get I am throwing away my normal flats at home, thats how much I love these shoes. Now I have to start saving my pennies for the next pair! CHIME IN!!! Do you have a pair of tieks? What color would you get for your pair? Any cute shoe you love for really long walking days? *Disclaimer- I was in no way paid for any of this. The shoes were a gift but from my dad and he paid for the shoes. 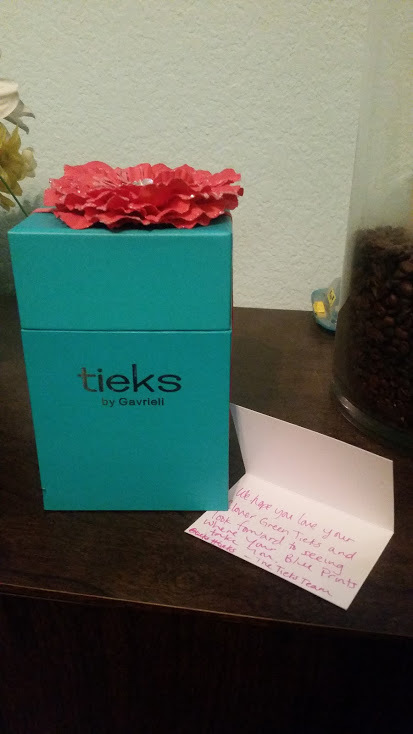 While I wish Tieks knew who I was they dont. I just wanted to share my opinions on the shoe for others like me wanting to try them out but a little weary because of price. Thanks! I’ve been searching for an outside review as well and couldn’t find one either. I have been wanting to try them as well but was very hesitant because of the price point. Hooray! I know if you like them I will as well. Time to start saving. Love ya! Love you, ps love the pics your posting from Hawaii!!! I have the Clover Green too and I love them! So comfortable and they add such a great pop of color to every outfit. They would be prefect your wedding! No one wants hurt feet on your big day! I’m in college and on a college student budget and decided to buy a pair. Worth every penny! I wear them to class, internships, part-time jobs, grocery store and more! 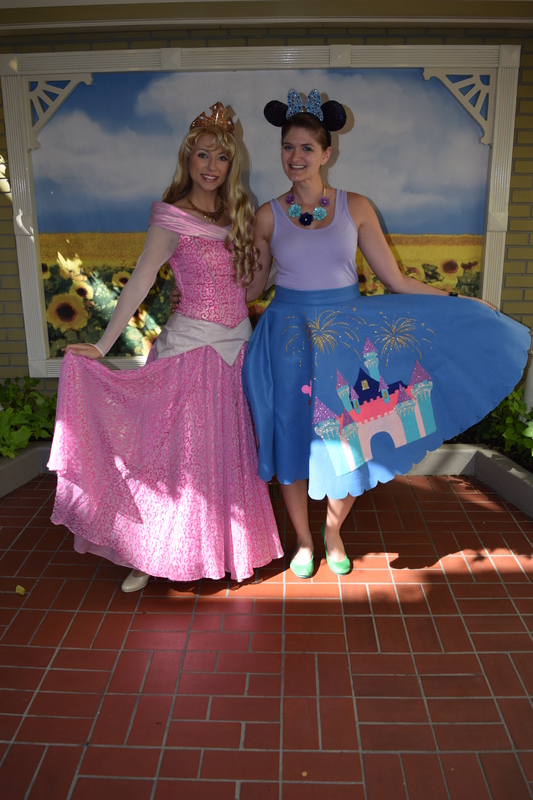 I literally just googled can I wear tiers to Disney! Lol great review, thank you!! I am going to Disney in 2 weeks. Typically, I wear my Tevas (comfy but oh so unattractive) to keep my feet in check. I love my poppy tieks and will definitely pack them. My only question is: because of the Italian leather, I can’t imagine it’s ok to get them wet. 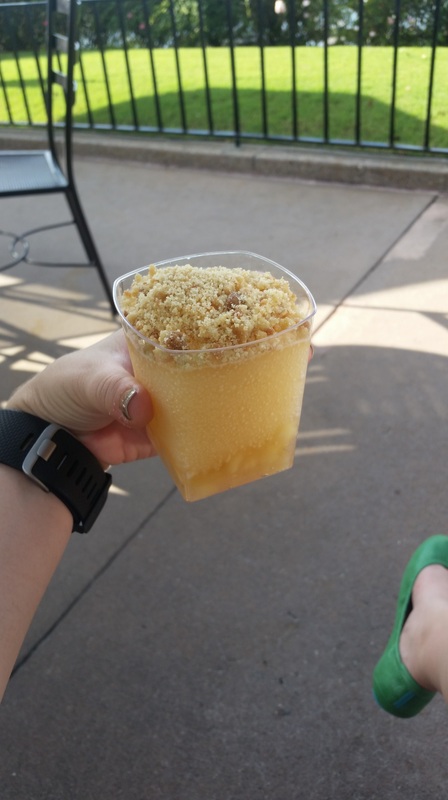 How do you keep them from getting wet at Disney World (especially on water rides and Animal Kingdom which is just so humid on its own, not to mention Kali River Rapids)! Thanks in advance for any tips! mine have actually gotten wet a few times, granted not kali river rapids wet but rain and such. they dried just fine and showed no signs of color deterioration. if you have a patent pair those would be best to wear but i think you will be fine. if you are really that worried about it and are bringing a backpack, maybe bring a fair of flip flops to switch into, but i think you will be fine if they get wet. Do they run true to size? I’m sold, based on this review. I’m going to order a pair for travel since they’ll take up less room in my suitcase! Just got my first pair as a total Valentine surprise from hubby! Day one I was not impresssed and nearly cried because I did not want to hurt his feelings. I read multiple reviews and used the tip of wearing them around the house with thick socks on, within a couple of days and a total of maybe 5 hours of thick sock wearing they were much more comfortable. The real test came a few days later when we traveled to D.C., lets just say I am in love! Walked all over the city, the national mall and the D.C zoo in complete comfort and style! yay!!! Im so glad you were able to break them in and fall in love! the first time i wore mine same reaction (oh crap did they just spend all this money for me to hate them) but ended up with 5 pairs now lol. What color did you get?! Next Post Its the Little Things!